Alan Pardew delves into the wardrobe for his traditional streetwear before showing his younger players how it’s done. Interviewed following the win against SC Braga, Alan Pardew revealed his ‘crazy’ pre-season plan. Talking about how he sees the rest of pre-season panning out, the manager was quick to stress the importance of the players getting to know each other and bonding after the summer break, when talking to the club’s official TV station. Following their first ‘trophy’ success, Alan Pardew revealed that the squad now had a couple of days break and how they were going to live the high life. 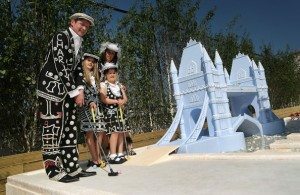 Alan admits that his plans will ‘sound glamorous..’ before revealing that what he has in store for his superstars is ‘a few games of Crazy Golf and a trip down to the beach’! On a serious note, the manager certainly seems to possess a good understanding of what makes players/people tick and last season’s success with a smallsquad showed an uncanny ability to get every last ounce out of his players, both the elite and the ones who are squad players. It would be nice to think that the manager can deliver success whilst at the same time keeping the players’ feet on the ground and help make them appear a bit closer in lifestyle and outlook to the normal man in the street. Any player who is interested in joining Newcastle United has to understand and buy into the fact, it is all about the team.